High Five is actually made of two cables. One has a USB-C jack with Lightning and Micro USB adapters on the other end. The second cable has a USB-C jack with USB-C and Micro USB ports on the other side. 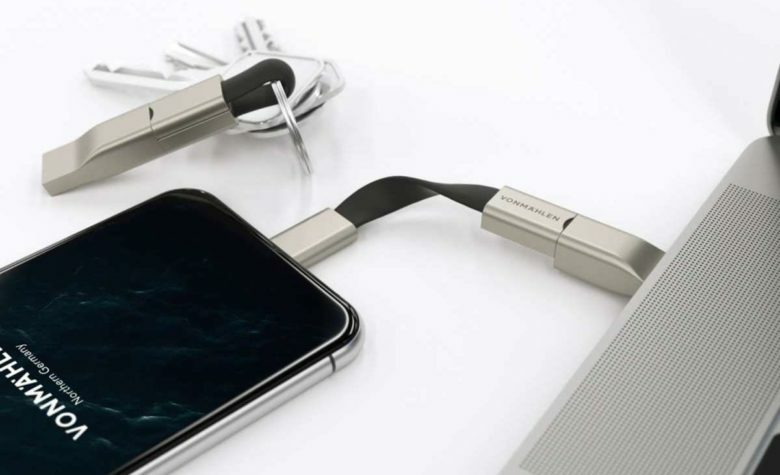 When not in use, the High Five can be turned in a loop by plugging the USB-C and Micro USB ends together. One of the only downsides is the cables are rated at 2.4A1, so you won’t be able to do fast charging. Still, it provides a quick solution if you need a cable to juice up your iPhone or other gadgets. Vonmählen says it plans to ship High Five by May. There are a Kickstarter and Indiegogo campaigns created to fund the project. Pricing on preorders is currently set at €14, or about $16 but the company says the price will go up when High Five launches.